Interviews, giveaways and more this week with Sarah Madison! Wow! So much going on this week! Today I’m being interviewed at Jessica Skye Davies’s blog. She asked some really cool questions and allowed me to natter on about The Boys of Summer, so if you’d like to head over and check it out, please do so! I also have a blog post about “The Money Shot in M/M Romance” coming up on The Armchair Reader on Tues–and all comments left there will enter you in the running for an autographed print version of The Boys of Summer. 🙂 I’ll be putting that link up when it goes live. 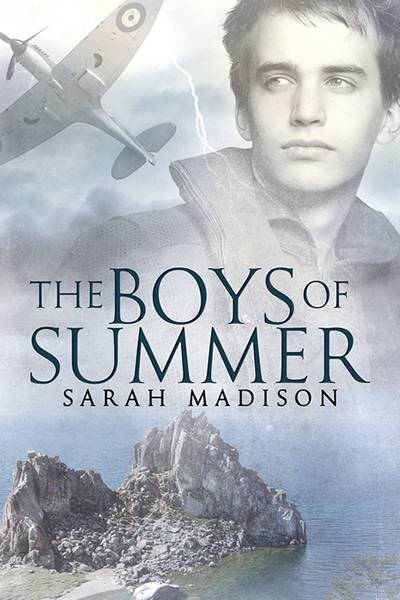 The print on demand version of The Boys of Summer will be available soon–I’ll update you as soon as it goes live. Jessewave is doing an interesting poll over on their site regarding M/M romance and what kinds of earnings authors can expect in this genre. If you are an author in this field, consider participating in the poll. The more participants, the more valid the data. The poll has no end date, so even if you don’t head over there today, you can find it on the side bar of the site in the weeks and months to come. Dreamspinner Press is continuing to celebrate their sixth year anniversary with wonderful discounts, free stories, and fantastic giveaways, such as the free e-readers each Sunday! The party continues for the entire month of May–given their pattern to date, I suspect we’ll be getting an announcement soon on the next set of freebies and giveaways for the upcoming week. Be sure to check back and get all the details, as I think my backlist of stories is coming up for a discount soon. Haven’t read Unspeakable Words, yet? You should because I’m working on the sequel right now! Can you guess where I will be in 12 days? Yep, that’s right! I’ll be at Galacticon3! I might be just a little excited about this. 😀 I’m starting to pack my doghair-free clothing and make sure my costumes are all intact. I’m borrowing a camcorder and a camera so I can share the fun with you guys on my return. I’ve mailed off boxes of swag for Anna Butler and myself to hand out. 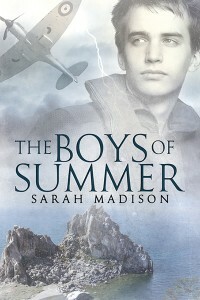 I’ve got print copies of The Boys of Summer on their way. 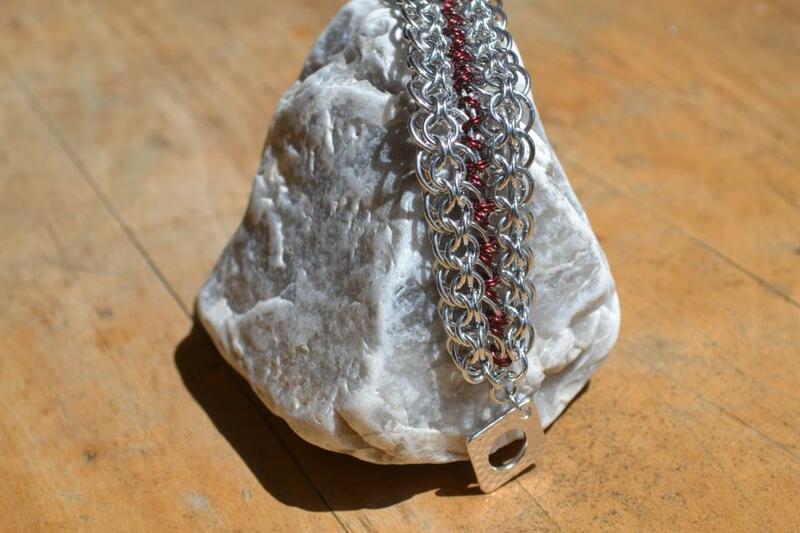 There’s the acting workshop with Richard Hatch, and the chain maille workshop with Jennifer Roberson (where you can learn how to make such amazing pieces as this ‘Cylon bracelet’). Not to mention the panel discussion on fanfic and the fanfic writers workshop that I’ll be co-hosting with these lovely ladies! If you’re a Battlestar Galactica fan, you can’t miss this convention–they’re only held every five years! And this time, ComicPalooza is being held at the same time in the same venue. I CAN’T WAIT! This entry was posted in Uncategorized and tagged announcements, Battlestar Galactica, Dreamspinner Press, interviews, promo, Sarah Madison, The Boys of Summer, Unspeakable Words by Sarah Madison. Bookmark the permalink.